This embroidery eagle is stitched in Red, White and Blue satin stitches. 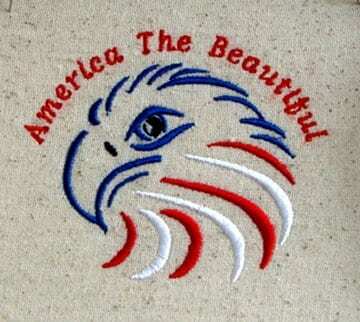 In addition, it is bordered by the words “America The Beautiful”. Fits the 4×4 hoop.